Future trainee at top law firm Bird & Bird Obi Jegede tells us about the time she spent on Bird & Bird’s spring vacation scheme. Find out her thoughts on the importance of work experience, what she did to secure a training contract offer on her vac scheme, and her top tips for aspiring lawyers! 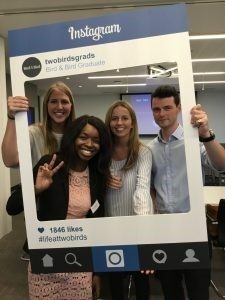 Don’t stop there – if Bird & Bird is your dream job, take a look at this other case study from a diversity scheme trainee here! I studied Law at Brunel University and recently completed a Masters in Energy and Natural Resources Law at Queen Mary University. During my penultimate year at Brunel, I was really keen on getting some experience in the legal sector, so I travelled to Tanzania to carry out a placement at an international firm. I spent ten months acting as sole support for two partners. Whilst living independently and teaching myself Swahili, I was exposed to a significant level of client interaction. I worked on cross-border transactions and wrote due diligence reports regarding the acquisition of a Tanzanian mining services firm and the sale of Tanzanian petrol stations, drafted share purchase agreements, partnership agreements and company incorporation documents. My confidence and business acumen were honed as I regularly travelled alone to the Business Registration and Licensing Agency to liaise with the Registrar on behalf of clients. As a result of my placement in Tanzania and my experience as a paralegal at a few law firms based in London, I started to develop the technical and analytical skills required of a trainee solicitor and a successful commercial lawyer. 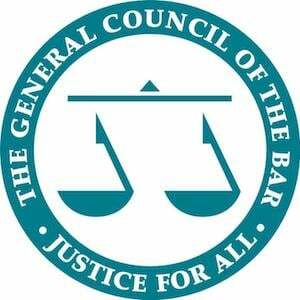 I also became aware of the high level of commercial understanding required of lawyers to advise their clients in a fast-paced, challenging global market and the impact the law has on society. This further confirmed my decision to pursue a legal career. >> Considering studying or practising law abroad like Obi? Take a look at our top guide to taking this exciting career path here! Attending a Bird & Bird open day was my first physical encounter with the firm. First impressions really do count, and I am so pleased to have experienced a fantastic event and what I now consider as a warm welcoming to the firm. The presentations were very informative and I noticed that all the people participating on the day (form partners to first year trainees) took the time to get to know the attendees and also answer our various questions about the firm. Grad Recruitment did an excellent job with updating students with information about the firm’s application process and were very clear on what they were looking for. I was compelled to get a taster of what life at the firm would be like, so I applied for the spring vacation scheme. >> Obi’s first experience of Bird & Bird was through an open day – which are REALLY important pieces of work experience. Read more about them here. Not long after submitting my application and completing my video interview, I received an email inviting me to a face-to-face interview at Bird & Bird’s London office. I was very pleased at this point and felt a mixture of excitement and joy leading up to the day. Bird & Bird were good with keeping me posted of what to expect during the assessment – this helped with my nerves and was a reminder that I should stay positive, be myself and try my best. The day went by rather quickly. Unsurprisingly, the Grad Recruitment team were very hospitable and made an extra effort to ensure that we (interviewees) were well catered to. It was nice to be around friendly people in an environment that can be stressed or tense. The tasks were very innovative and the interview I had with a partner felt more like an informal conversation – this experience surpassed my expectations and made me even more excited when I found out that I was made an offer for the spring vacation scheme. >> Find out more on how to excel in a vacation scheme assessment centre with our guide here! The vacation scheme lasted for a week. It was filled with a number of activities and because of this, went by very quickly. I sat in the Commercial team and worked closely with the Energy & Utilities lawyers. This was a perfect match as I was still studying my Masters in this area. It was fun to learn more about the sector by having conversations with the trainees, associates and partners in the team. I enjoyed being given a lot of responsibility such as drafting Deeds and Agreements related to Anaerobic Digestion. I also sat in on planning meetings relating to potential work in the solar sector. Outside of working hours, Bird & Bird made a conscious effort to include socials and ensure that the vac schemers met up and got to know some of the current trainees. We started our conversations over dinner and towards the end of the scheme, the vac schemers and trainees spent an evening playing golf – this was a major highlight of the week. Getting to know people who have been in the same shoes as you, sharing experiences whilst giving some wise words of advice for the training contract interview was priceless! I felt like I was part of the firm already! Overall, the vacation scheme was an extremely memorable time which made it very easy for me to accept the offer to complete a training contract with the firm. As much as it can sound cliché, the best thing you can do during the application process, at interview or even on the vacation scheme is to be yourself. Honesty always wins. Also, try to enjoy the process whilst you’re at it. And remember, a smile goes a long way!